This mod is for modpack makers and not intended just to be installed because it needs configuration. You can configure and add custom achievements and trophies through editing a json file. If you add this to your modpack and start it once, this mod adds an example json file in your config folder which you should edit. I coded this mod for my modpack Age of Engineering, but you can use this of course for your own modpack, no need to ask me. How am I supposed to help you with this little of information? i like your work. It makes so much fun to create new achievements, but i have a problem. I want to chek tow or more statitics for one achievement. but the only thing that happened, was that my game crashes. Can anyone help my to solve this problem? stat has to be a string, not an array, multiple stats are not supported. Hi ..this is a very nice mod...Can you update'it to 1.12 ? Can I use this to make an achievement for killing a particular player? Or is there some way to have an achievement trigger from getting a particular player head? Not at the moment sorry. There is no way to check for NBT right now. Is there a way to whitelist achievements that show up in chat (without disabling achievements or showing them in chat) that are added by other mods? Not with this mod, sorry. It is all about new custom achievements. If I lose a trophy, how would I go about getting it back? 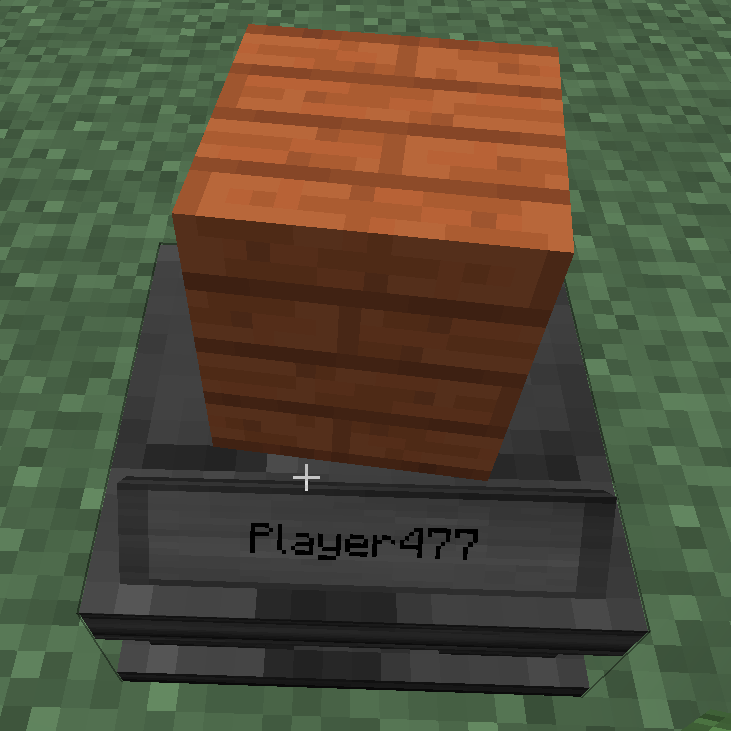 With neither HQM or BQM coming to 1.12 yet, I really hope this can be updated to 1.12 soon. Hey Boolyman. I was learning 1.12 advancements on Monday, but I'm really struggling what the new version should have. The vanilla custom advancements are more powerful anyway. The only thing missing are the trophies and a way to automatically copy modpack-specific advancements into the save data folder. What do you want the mod to have? There isn't currently any Questing mod for 1.12. And the old questing mods were so bloated with features that werent really necessary. I was hoping for an achievement/advancement system that kinda took the place of quests. It would allow the modpack dev to create their own achievements, that the player could view in the advancement screen, complete, and gain rewards from. Once they completed it, it would give an item, unlock a set of recipes, trigger an event, etc... configurable by the modpack dev. This may be more than what you had in mind. But the pack dev community is kinda twiddling our thumbs waiting on someone to come up with a way to provide objectives/quests in 1.12. Oh my, sounds awesome, but might go beyond my capabilities. I look what I can do. I started working on it, but progress is very slow as I'm not the best coder. Great mod and very handy with combination of Skillable! Would it be possible to have more then 1 parent for an achievement? My goal would be to recreate the 'MOAR Tools' achievement from non-PC Minecraft versions.